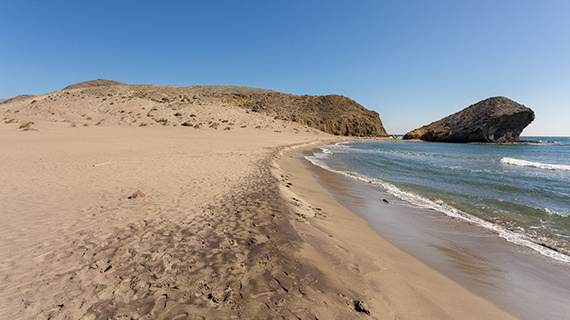 Natural Park Cabo de Gata hides charming villages and hundreds of places to explore. 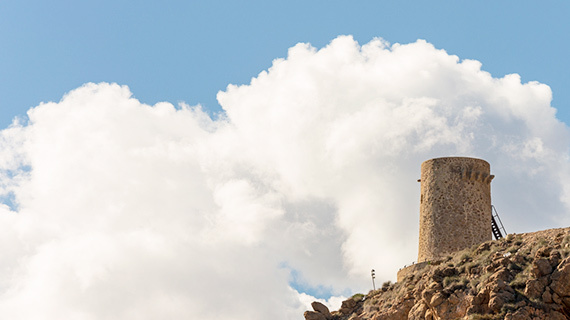 We offer here a selection of routes to visit the towns of Cabo de Gata and their points of interest: monuments, farmhouses, nature, geology, gastronomy… and much more to discover! Villages: Cabo de Gata, Pujaire, Las Amoladeras and Torre García. 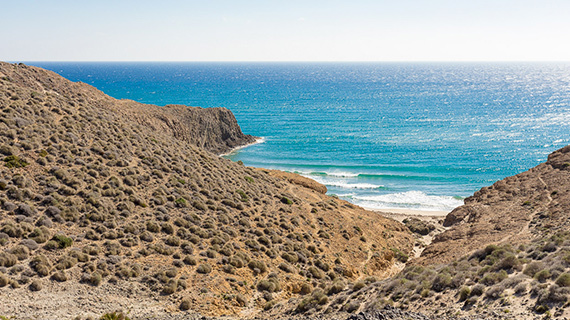 Main locations of interest: Visitors Center, sisal crops, La Amoladeras viewpoint, azufaifal, birdwatching, Torre García shrine, watchtower, Romans rafts, Amoladeras fossil beach where the river meets the sea, coastal dunes, El Charco wetlands with wetland birds, fishing village of Cabo de Gata. Distance : 30 Km. 12 Km. Villages: Cabo de Gata, El Corralete and San José. 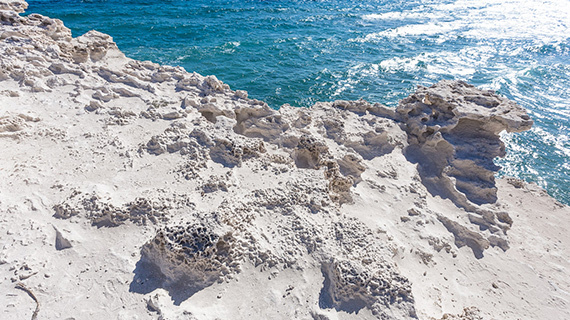 Main locations of interest: Artesanal fishing location, birdwatching observatory deck, La Fabriquilla, taking water from the Salinas, Testa tower, The Corralete, Las Sirenas viewpoint, Punta Baja, Cala Rajá, Vela Blanca, Cala Carbón, Mónsul, Barronal. Distance : 47 Km. 17 Km. Villages: Hornillo and Fernán Pérez. 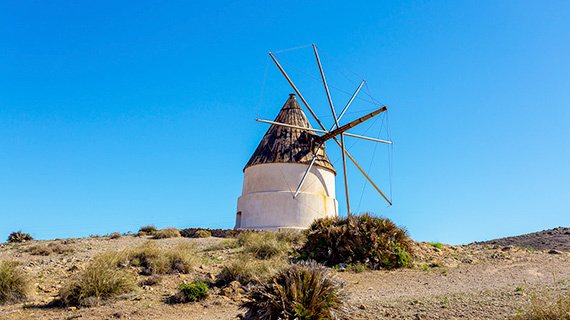 Main locations of interest: Cattle farm of la Requena, Cortijo del Fraile: crops, houses, chapel, cochineras, water tanks, wells and eras, steppe birds, Stove farmhouse, Higo Seco farmhouse and typical pigsties, Fernan Perez windmill and popular cuisine, Balsa Blanca farmhouse. Distance : 20 Km. 14 Km. Villages: Huebro, Níjar, Torre del Campo, and Campohermoso. 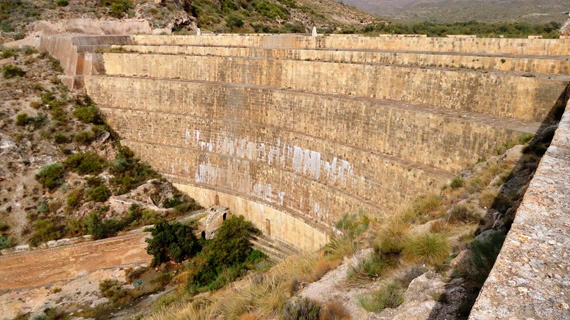 Main locations of interest: Source of Huebro river, Rosario Church, route of the water mills, Villa de Nijar: Plaza de Arriba, Calle de las Eras; Isabel II Marsh, Campohermoso, Bermejo moorish well, Fernan Perez aqueduct, Fernan Perez mill and washing, Balsa Blanca cortijada, Alias river mills, Carboneras desalination plant. Villages: Carboneras, Aguamarga, Las Negras and Rodalquiar. Distance : / 36 Km.